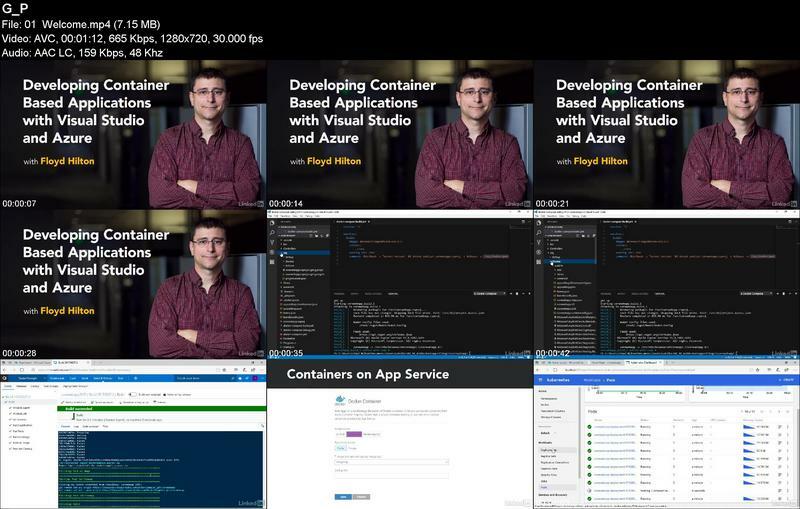 Lynda Developing Container Based Applications with Visual Studio and Azure | Free eBooks Download - EBOOKEE! Posted on 2018-12-24, by fubber. Containers are the future of app development. Microsoft has developers covered. Learn how to use Docker and the powerful features in Visual Studio, Visual Studio Team Services, and Azure to build container-based .NET applications. Instructor Floyd Hilton starts by showing you how to set up your environment, incorporate Docker into Windows development and DevOps life cycles, and debug applications in Visual Studio Code and Visual Studio 2017. 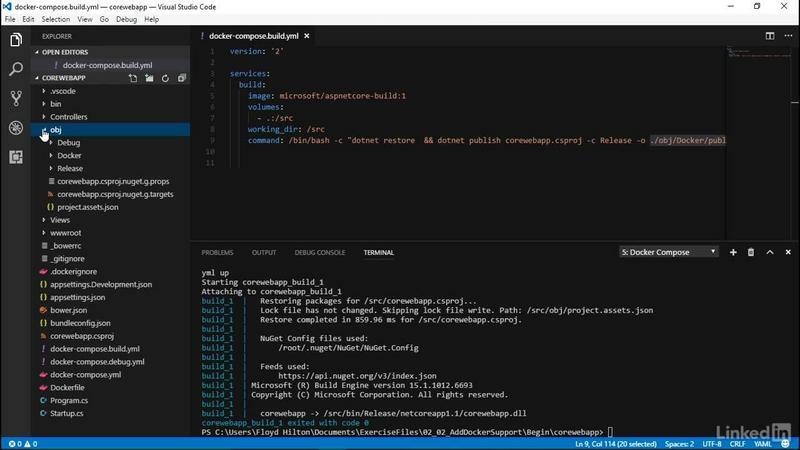 Then he describes how to build a continuous delivery pipeline by using Team Services to pull code from Git, creating container images, pushing to Azure, and deploying containers to Linux app services. Curious about your hosting options in Azure? Floyd reviews your choices, including Azure App Service, Azure Container Service, and Azure Service Fabric. Plus, learn how to use Azure container services to create Kubernetes clusters that can host .NET applications. No comments for "Lynda Developing Container Based Applications with Visual Studio and Azure".